Passed away unexpectedly at her home on April 11, 2019; aged 80 years. Dearly loved wife of the late Cliff, much loved mother and mother-in-law of Gillian and the late Malcolm McGlade (U.K.), and Lindsay, treasured Granny of John, and Laura. Loved sister, and Aunty Bev to many as well as a dear friend to many more. 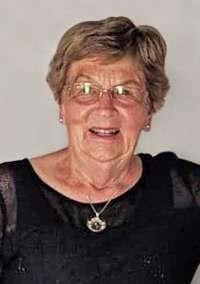 A service for Bev will be held in the East Taieri Presbyterian Church, Cemetery Road, East Taieri, at 2pm on Tuesday April 16, followed by private cremation. In lieu of flowers donations to the Otago Community Hospice would be appreciated and may be left at the service. Messages to 41 Severn Street, Mosgiel 9024.